Carved with dragons, a gorgeous antique bridge near the Ohara Museum of Art connects the two sides of the canal for foot traffic and rickshaws alike. Antique houses and shops, spanning three eras, show a mixture of eastern and western styles. A gondola tour of the Bikan District canal pushes past. A beautiful handmade lantern catches the sun’s rays outside a shop in Bikan District. Traditional restaurants, nestled in former warehouses, stand ready to receive hungry visitors. Even at night, Bikan District remains a breathtaking sight. 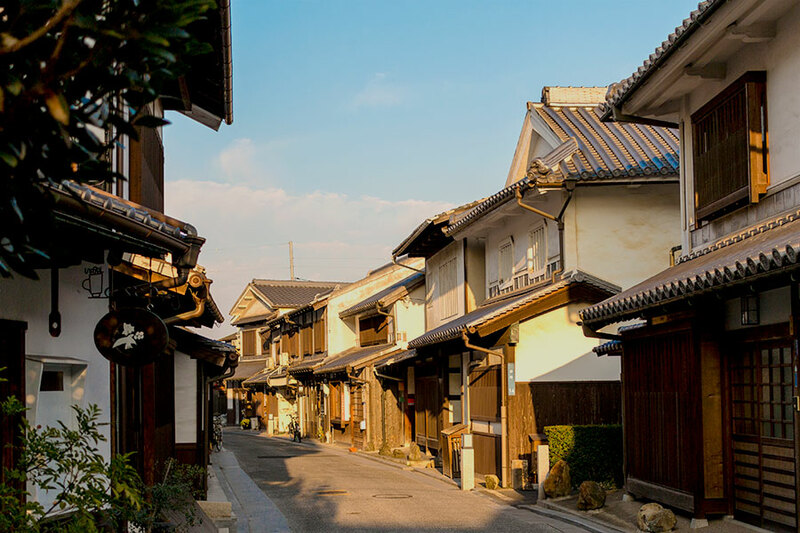 On my first visit to Bikan Street in Kurashiki City, Okayama Prefecture, I expected a scenic, if somewhat touristy, walk-through historical preservation with old-time charm and some nice photo opportunities. Like a less crowded version of Kyoto’s Gion, albeit straddling a more recent timeframe. Yet what I found instead truly surprised me. As it turns out, Bikan District is so much more than simply a walk-in time capsule. I mean yes, the municipal government did subsume all the telephone poles and wires during historic renovations. 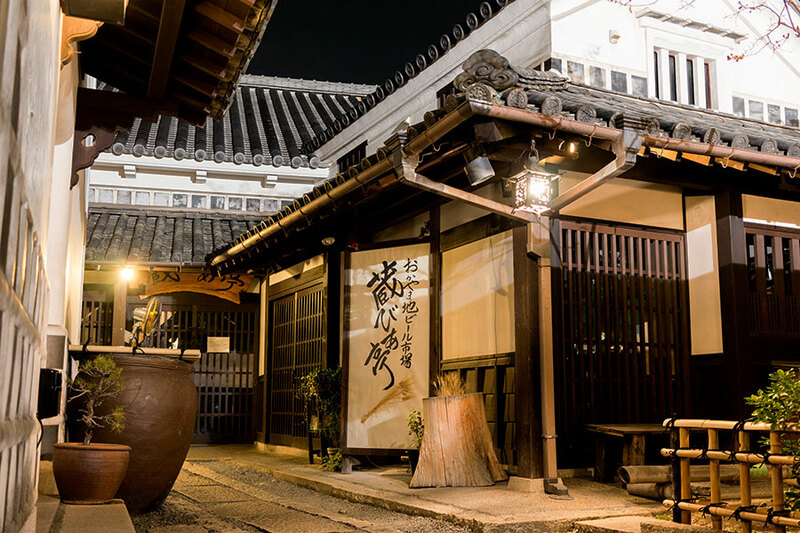 And yes, it was voted “the most picturesque merchants quarter in Japan” in a domestic survey—a distinction which its scenic beauty richly deserves. However, the real delight of Bikan District comes not from the fact that it accurately recreates a specific time period, but rather because it presents a montage of cultural transformation stretching through three distinct eras (Edo, Meiji, and Taisho), all rolled into one postcard-worthy destination. I recall being particularly impressed by the combination of domestic and western influences. 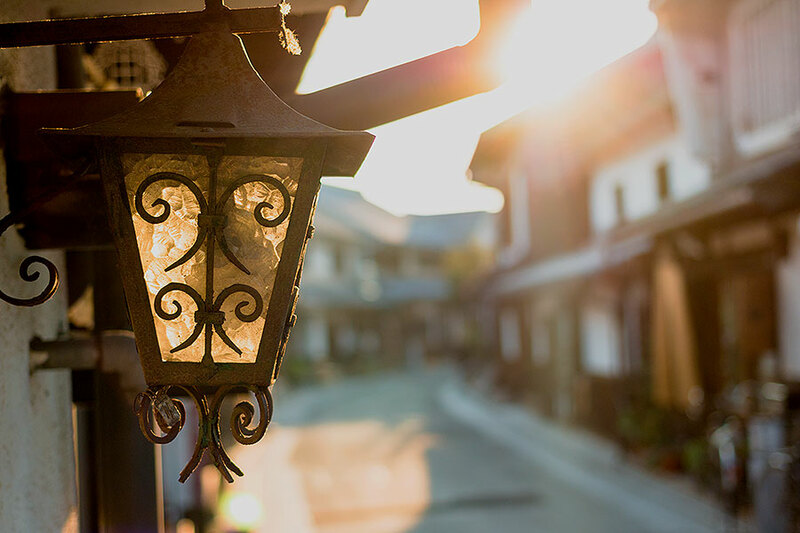 Even the smallest details—a sign above a shop window, or lantern transfixed above a door—display the East/West harmony so characteristic of Bikan District. Yet as an epicenter for Japan’s trade routes, the cross-cultural development of Kurashiki should come as little surprise. 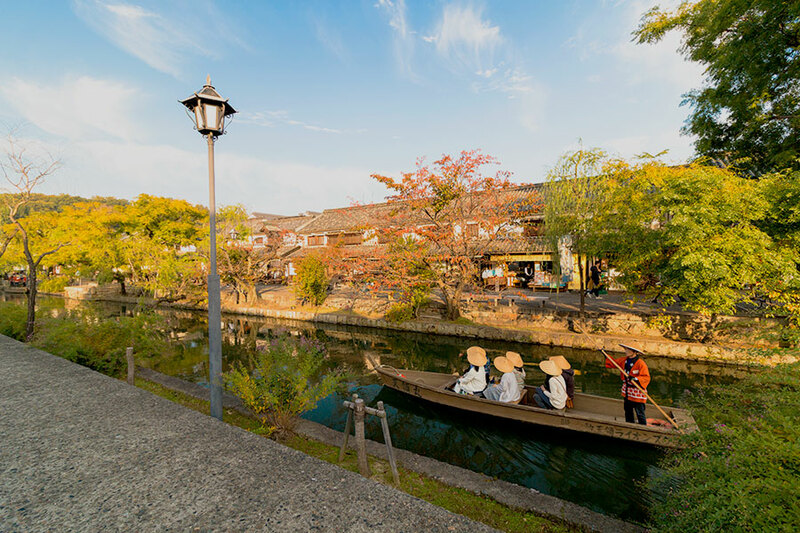 In Japanese, “Kurashiki” literally means “Warehouse Village,” and the city of Kurashiki, as you might guess, began as a storage and distribution hub for goods as they passed from the western provinces to Osaka and Edo. In fact, so vital did Kurashiki prove to national economic interests, that in the 17th century the shogunate placed Kurashiki under its direct control. At that time, a series of canals carved into the city provided direct access between warehouses and the neighboring port. Today, tour boats full of sightseers pass where river barges once groaned beneath the weight of rice and cotton. They say the best way to view Bikan’s historic warehouses is from the canal, so after paying ¥500 (roughly $5), I stepped down to an old loading platform cut into the stone embankment, and soon found myself aboard a wooden boat propelled by a steersman wielding a bamboo pole. And I must admit, sitting still as the old buildings drift silently past does possess an irresistible charm. As the water sits considerably below the street, the buildings rise up and away from your vantage point, emphasizing the iconic grid-patterned walls of the warehouses. It turns out the design is both beautiful and functional—the plaster and tile construction, coupled with the use of burnt timbers, helped protect the warehouses and their precious contents from wind, rain, and fire. However, in addition to the storage of goods, Kurashiki also processed cotton on-site at local mills. Japan’s very first modern cotton mill, in fact, stood within Bikan District—an immense brick complex built by the Kurabo Company in 1889. Today, a recreation of the Kurabo facility, dubbed Ivy Square, now stands in its stead, where red brick walls regaled in their green namesake contain restaurants, museums, and a hotel. 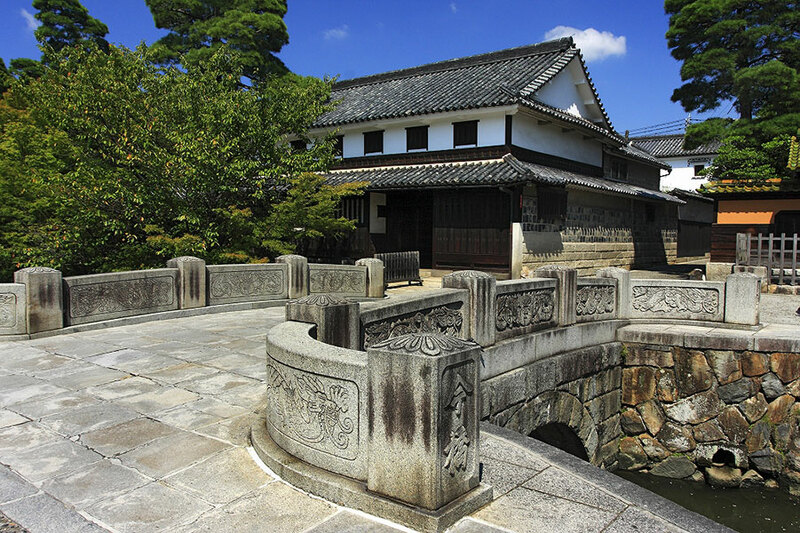 Yet architecture isn’t the only place in Kurashiki to marvel at things past. Modern Bikan District also boasts more than half a dozen museums and galleries, including the Kurashiki Archaeological Museum, Kurashiki Museum of Folk-Craft, the Kojima Museum (dedicated to Kojima Korajiro who, at the turn of the 20th century, painted in the western style), and the Ohara Museum of Art (the first museum of western art in Japan, featuring works by El Greco, Matisse, Gaugin, Renoir, and Monet). 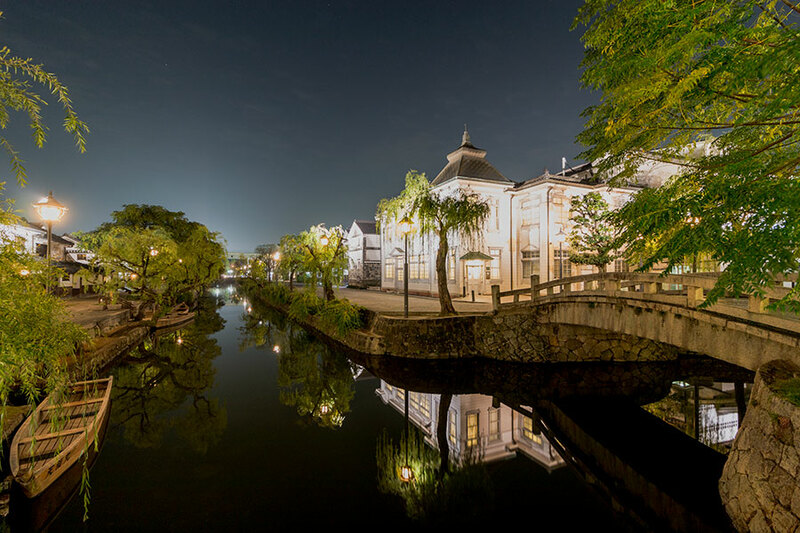 This fact makes Kurashiki one of the only places in the world where you can walk from one museum to another by passing through an historically preserved cityscape—offering a fascinating and historically seamless transition from one gallery to the next. Even the Tourist Information Center occupies a beautiful Taisho Roman edifice, now a Nationally Registered Tangible Cultural Property, built in 1917. As evening stole in, I walked up a set of stone steps, and discovered an old shrine overlooking the town. I found myself captivated, thinking of how this view changed over the course of time, centuries overlapping like the layers of a stencil to create the scene below. After a day of museums and restaurants, I walked along a narrow alley still sporting stone reinforcements where cart wheels once rolled. At once the Taisho-style lamp posts flickered softly to life, and as the shadows deepened, I could have almost imagined myself a time traveler, capable of witnessing a bygone world through modern eyes.